Biologists may not think that there is much for them on the U.S. Geological Survey (USGS) website, but they would be mistaken. As the only science agency for the U.S. Department of the Interior, the USGS collects a vast amount of scientific information spanning the natural sciences with the mission of describing and understanding the Earth. (Not exactly the easiest of tasks, to be sure.) 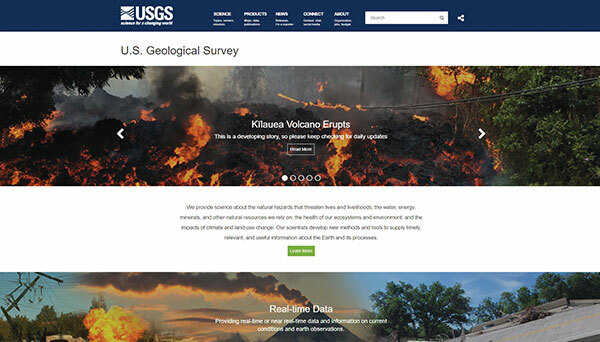 Visitors to the website can explore the various scientific initiatives of the USGS through the “Science” tab located on the main header of the home page. Within this menu, visitors will find links to explore research projects by geographical region or by one of the seven USGS mission areas. Alternatively, users can browse site content using the “science explorer” pages. Within the vast number of pages contained within the site, users will find educational content, scientific reports, datasets, topographic maps, and other resources.